A sealant is a thin protective coating that is typically applied to the biting surface of permanent molar teeth. Molars generally have deeper grooves that can make it more difficult to remove food and plaque. The sealant helps to make this area of the tooth more cleansable and in turn helps to reduce the risk of getting a cavity. Sealants are typically recommended in childhood when the permanent molars erupt (generally, at ages 6 and then again at 12). 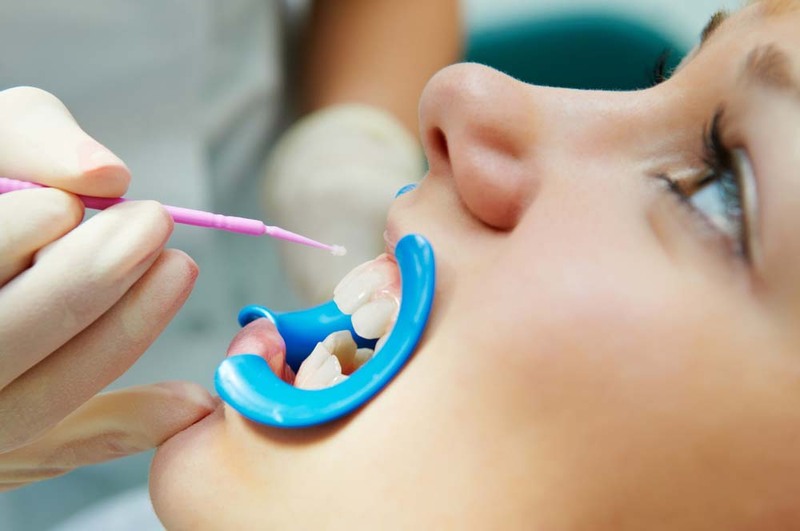 Sealants are used as a preventative measure only; if a tooth has an existing cavity, a filling will be required. They require periodic checkups and may require replacement over time. Proper brushing and flossing is still required to prevent tooth decay even after sealants are placed. The tooth is thoroughly cleaned and dried. If necessary, the narrow grooves of the tooth may be widened with a dental hand piece. Next, a conditioner is placed on the tooth and rinsed to prepare the tooth for the sealant. Then a bonding agent is brushed into the grooves followed by the sealant. Finally, the sealant is hardened by a special dental curing light. We do not discriminate. See our policy.